Want to give your beloved a lovely Christmas gift this year? 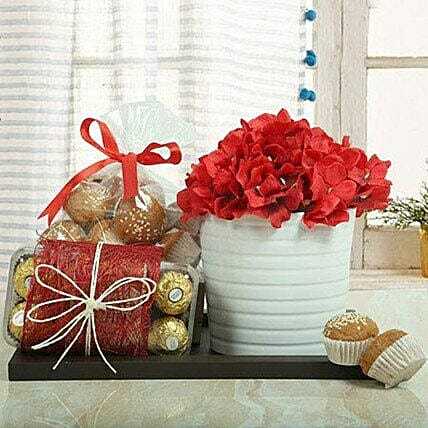 Order this fabulous arrangement of Ferrero Rocher Chocolates, cupcakes and red hydrangea flowers on ferns N Petals. When these three things come in a brown tray, express your love the best.